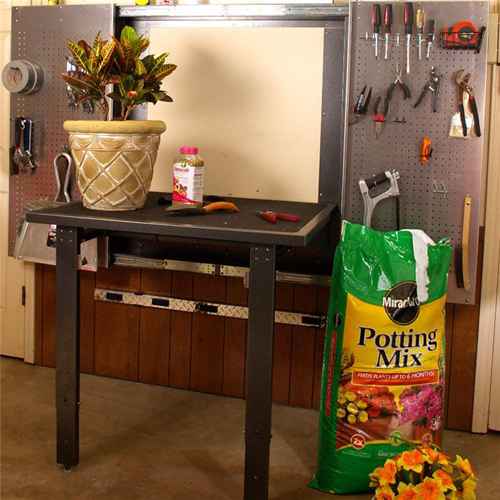 Table comes fully assembled and installs in minutes. Uses 2 gas springs to assist raising and lowering, with only a few pounds of force. Double sleeved bushings at all pivot point to ensure smooth operation. 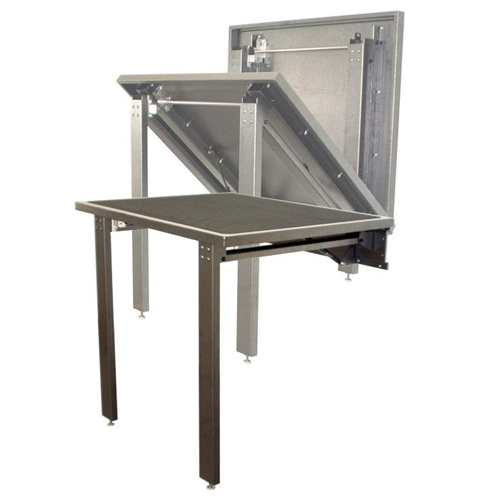 Sturdy steel construction (also available with a Stainless Steel table top). 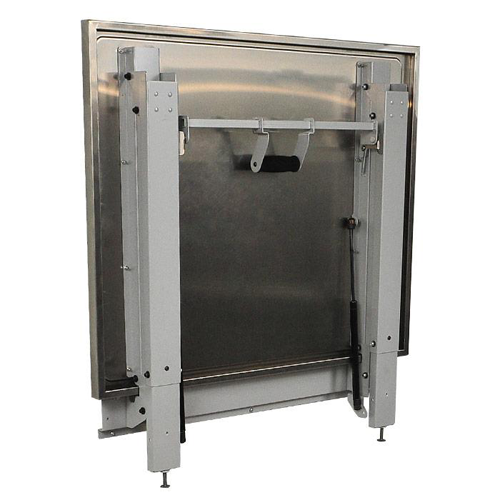 Can be mounted at either 28″ desk height or 37″ workbench height. 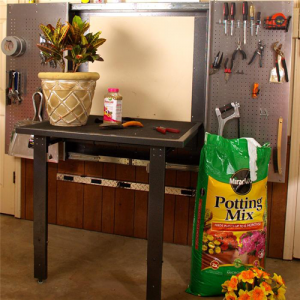 38″x34″ tabletop for ample workspace. Supports 500 lbs. when properly installed. Protrudes 5 3/4″ from the wall when folded up. 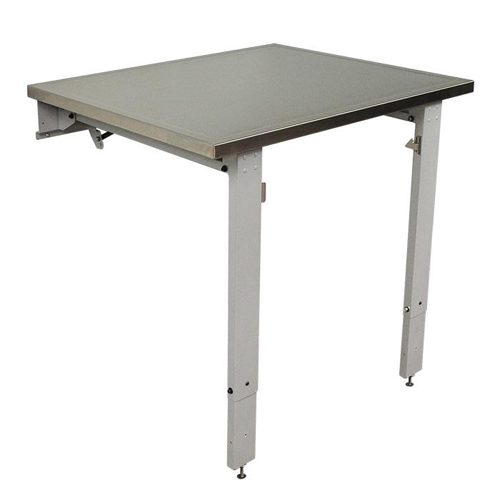 Ideal for saving space in workshops, garages, restaurants, labs, shipping departments, plants, factories and anywhere a space saving table is needed.